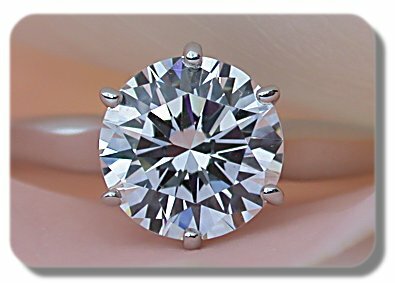 Please add a round 6.5mm - 9.5mm stone to cart for a ready to wear ring. Normally ships within three weeks from order date. "I even went to Tiffany's ... and the salespeople were falling all over themselves to help me because they thought I was wearing one of 'their' rings." 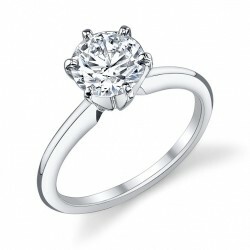 Tiffany reproduction solitaire engagement ring and band with 1.5ct Asha® center stone. Tiffany's. 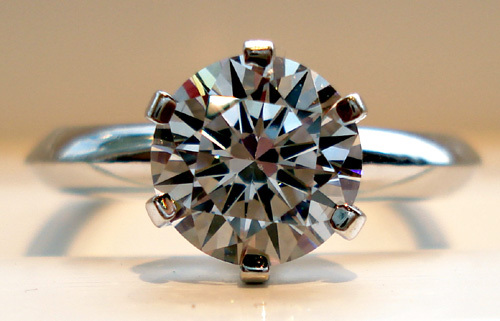 This style of engagement ring was first introduced by Tiffany's in the late 1800's and has been synonymous with engagement rings around the world since. Our Timeless reproduction of the Tiffany solitaire engagement ring and matching band is an exact replica of the ones you see at Tiffany's & Co in every detail, down to the crown style 6 prong head on the engagement ring. 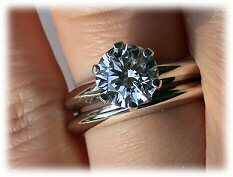 The only difference is that this ring does not have the Tiffany stamp on the inside of the shank. 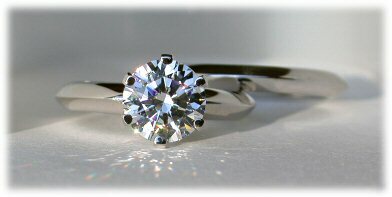 The rings are cast as is the original Tiffany solitaire wedding set. When ordered in Platinum or Palladium, our Tiffany Reproduction Ring is among the only rings available in the world that are 'High Pressure Enhanced' after casting. 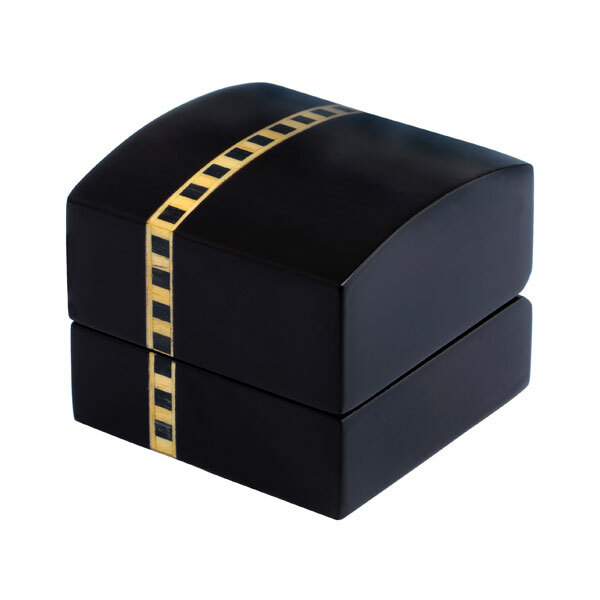 Available in platinum, 14kt gold, and can be made in palladium by special order. Height of stone off of finger: A 6mm round sets 6.7mm high. 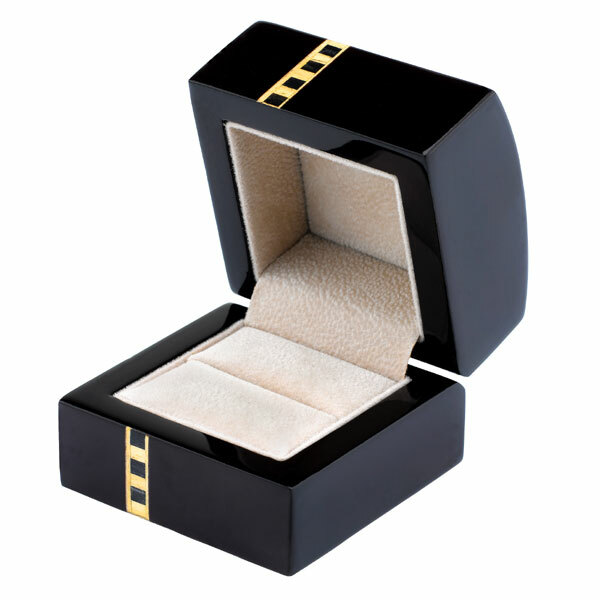 Our Tiffany Reproduction ring is not available in two-tone (yellow gold shank with white gold prongs). 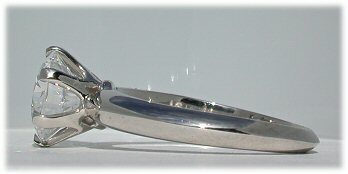 Note the original Tiffany style prong head. you see on most Tiffany style rings. 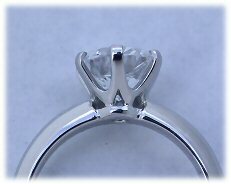 The price below does not include the center stone, this is the metal ring portion only (ring and prongs). 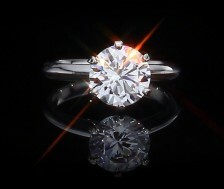 You must add the appropriate stone to your shopping cart in order to complete your ring. 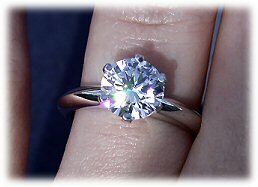 We are offering this ring in sizes that can hold from 6.5mm up to 9.5mm round center stones. Our Asha® H&A Rounds page is here. 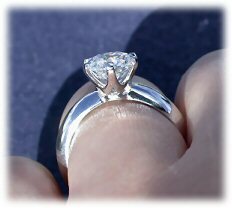 Update: We are making this ring available in pure 95% palladium. this may be the metal for you. We *highly* recommend it as the metal of choice - it is 10% stronger than platinum, nearly identical appearance, holds its shine longer than platinum and until a few years ago, was a more expensive metal than platinum. feel of platinum. More info on palladium can be found here. My $50K tiffany engagement ring was stolen and needless to say I was absolutely devastated... bought the 1.7 carat amora gem with the tiffany reproduction setting as a place holder and I was absolutely blown away at the resemblance to the original! 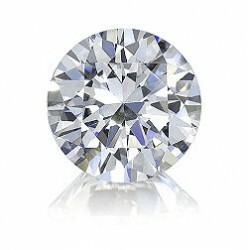 I can tell the difference from my original tiffany diamond which had "crisper" contrast in the gem itself giving it the illusion of greater "depth". 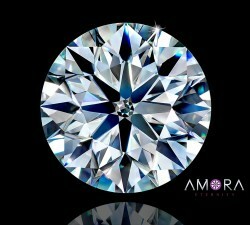 However, the sparkle and brightness of the amora gem is absolutely breathtaking and I couldn't be happier with my purchase. Thank you for all your help along the way!! I received my 7.5 mm Amora in the Tiffany Reproduction setting last night. It is more beautiful than I expected. I have ordered from you in the past and each time it is a delight to work with your diligent team. 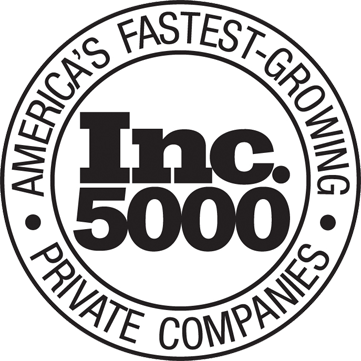 I have my next project in the works and I look forward to working with your company to accomplish my goal. Thank you, thank you, thank you!!!! it shocked my husband (who isn't easily affected by things like this). I was delighted to receive it before the holidays. why anyone would care/want/buy a real diamond after seeing the quality and workmanship (your jeweler is amazing) I have no idea. thank you for your advice and help with my order. I LOVE my ring! pleased with this purchase. To anyone considering purchasing an Asha stone, look no further. This is the company to go with. Thank you so much."